Finding the right size of anything can be difficult, even when it comes to humans. 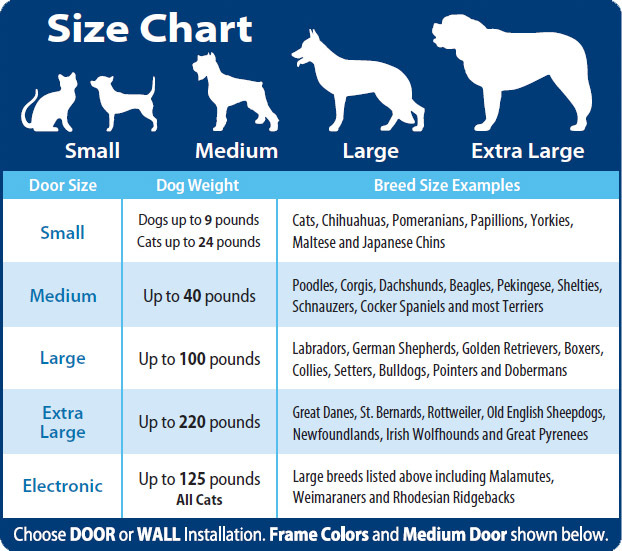 When speaking of pets, the terms small, medium, and large can mean almost anything, depending on the frame of reference. This was my first time visiting Atlanta besides the airport. I must say that the TV Show "The Walking Dead" doesn't make it justice; as hard as I looked I couldn't find one single zombie. Jokes aside, Georgia greeted us with sunshine and friendly people. 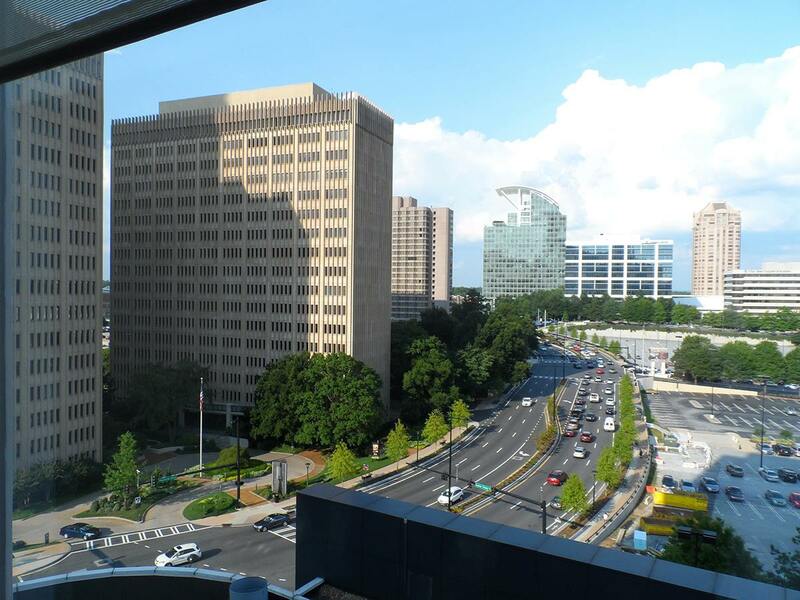 The conference took place at the Westin Buckhead. It was a good choice of hotel, and they were prepared to deal with the large number of pets. 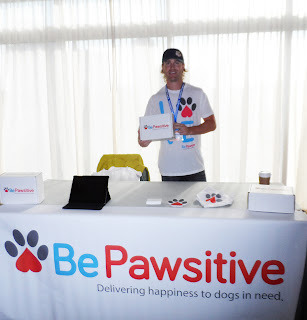 There were water bowls in strategic locations, and the reception desk held the biggest basket of dog treats I've ever seen. I have to admit I was tempted to take it and run; my dogs would be more than delighted to see something like this! 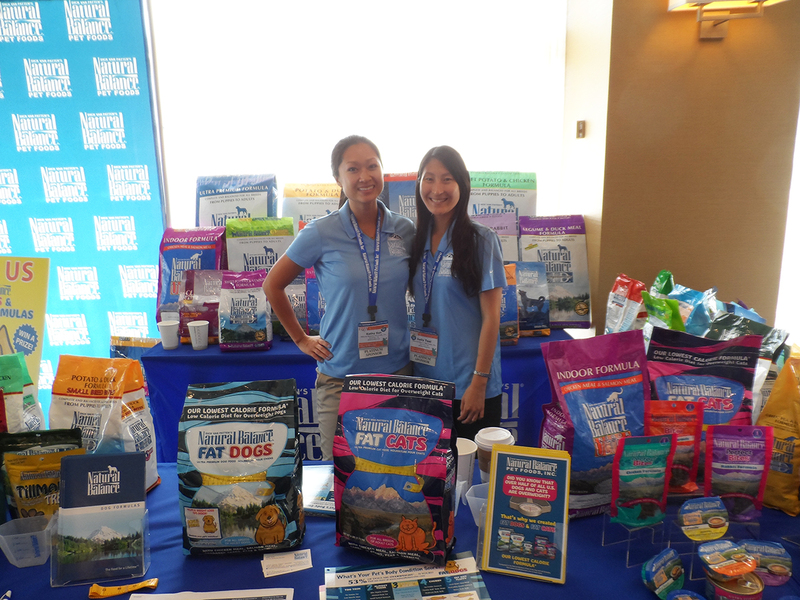 My colleague Maya and I set up our booth and went to greet the other brands and bloggers. The doors on the photo are a medium and a large. 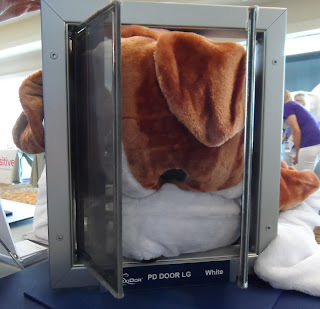 Many visitors think they look small compared to the dogs that supposedly fit through them, but remember that the door isn't meant to be installed at floor height. 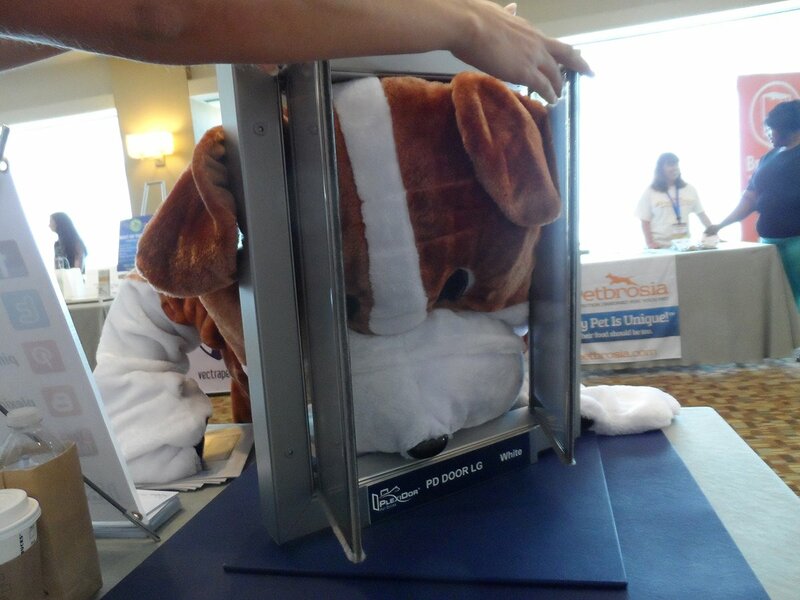 Measure how tall the dog is and install the door at a height where he or she can comfortably step through. 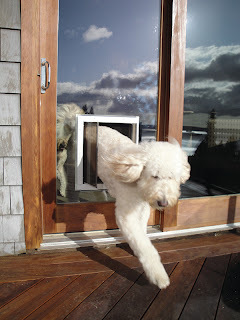 Most dogs won't mind lifting their feet over a threshold. Someone needs a bigger door! The first day ended with a mingling event where Norman the Scooter Dog performed an incredible act of riding a scooter and a bike. Apologies for the video being a bit dark. I had every good intention of tweaking it to making it lighter before posting it on the blog, but the days go by so quickly. Keep your eyes on the blog during the week; there will be more posts and photos from BarkWorld 2013! Ordering branded material is fun, and a gamble. 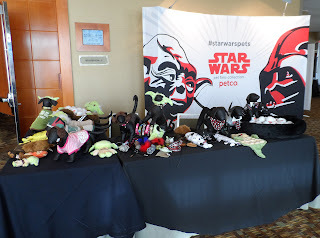 Each item can't be too expensive, but it also can't look cheap; giveaways need to correspond to the overall company image. There's about a million different items to choose from, and finding something recipients will keep and enjoy is trickier than it sounds. Some things go directly into the trash, and that's a waste of everyone's time. We make a PlexiDor calendar each year. Yours truly designs it - I love looking at all the doggie photos - and I bounce up and down with joy every time I encounter one in real life. "Look, look, that's my calendar! 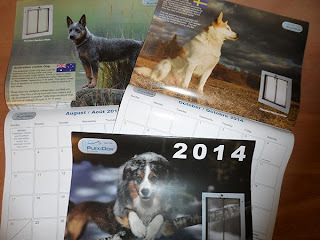 They have my calendar on the wall!" Yes, I'm quite silly, but my dogs say it's okay, and I believe them. We just got the 2014 calendars back from the printer, by the way. If you want one, send me a message! Anyway, this year we've had pens and post-its with the PlexiDor name. In not too long we'll need to decide what to order for next year's shows and giveaways. What kind of swag would you appreciate? What's the "keeper" that has to stay even when other stuff is thrown out? The PlexiDor Piggie-door, and other adventures in blogger land! 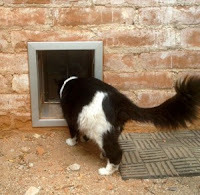 There are many different kind of pets, but I still refer to the larger PlexiDors as dog doors and the small one as a cat door. This is an oversimplification of reality, and a big error in my way of thinking! 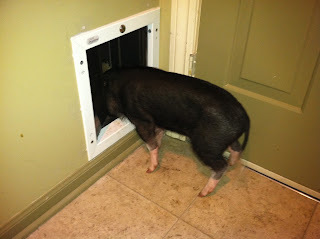 The PlexiDor is now a piggie door. There's no reason pet pigs shouldn't have doors - I just never thought about it. Coccolino's mom writes on the blog, "The Plexidor is safe, sealed so tight that no air could ever get in from the outside while the door is closed, and has a team of customer service that truly cares about and believes in their product. 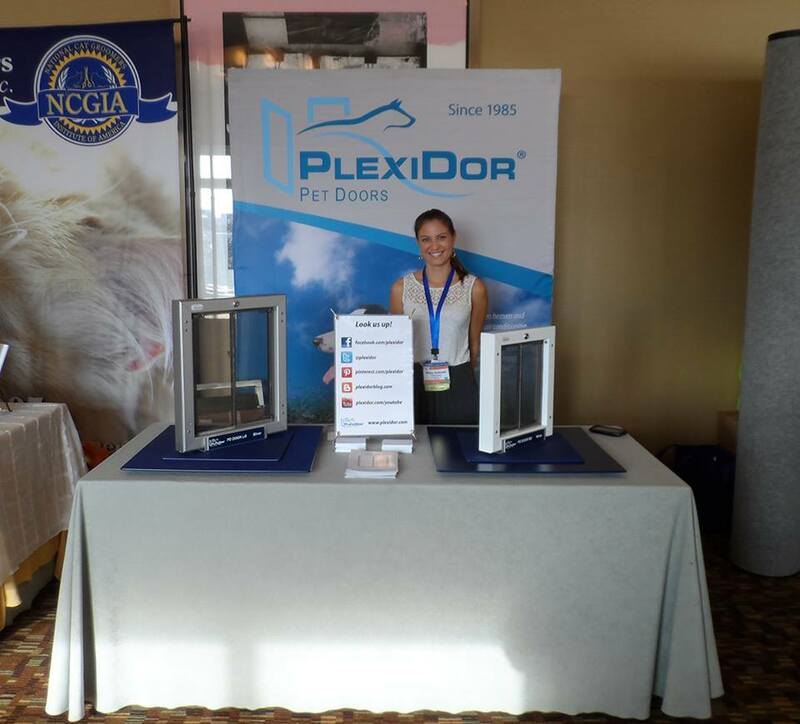 This experience has been so extremely positive and I am grateful to the point that I think Plexidor would be hard pressed to find a happier pet door recipient." Reading stuff like that makes my day. Truly! I love when we can make someone happy! I learned a lot about mini pet pigs from reading the blog post. 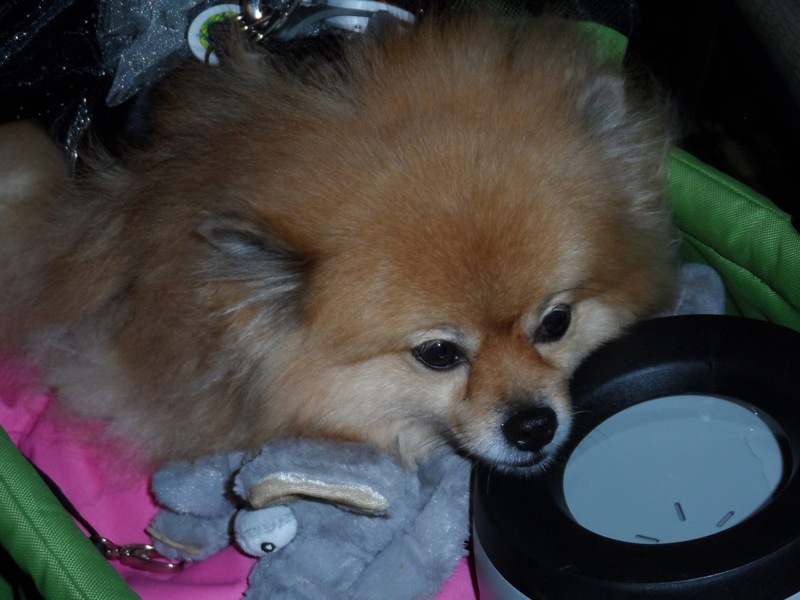 If you're curious about them at all, check out myminipetpig.com, and read the post about the PlexiDor. It is entertaining and covers some aspect I wouldn't have thought about. Another blog featuring us right now is rosezellasway.com. They tried all sorts of creative solutions, like the cats and dogs using a chair in the living room to get up to the windowsill and outside. The cats were able to get both in and out, but the dogs couldn't figure out how to get back in. Now they have a PlexiDor, and since the post is titled, "Woo Hoo! A New Plexidor!" I'm assuming it's working well. 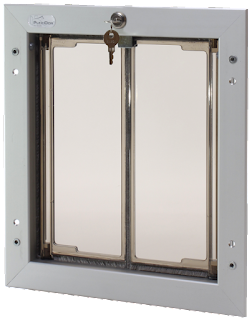 The post says, "...none of the precious cooled air is released into the outside. My door sits up off the ground a few inches, so dirt is kept under control. 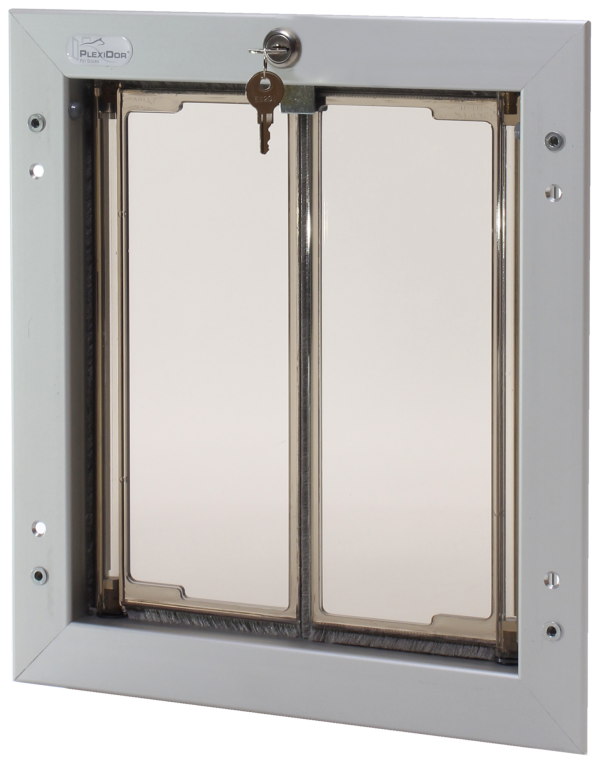 The door is a sheet of shatterproof resistant acrylic, the frame is made of aluminum, and locks by a key very easily." 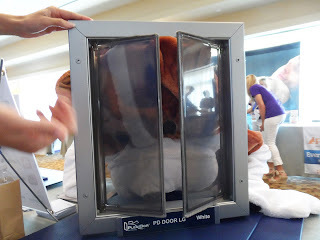 I have also seen a blog post about the PlexiDor from Carma Poodale. They don't have their door installed just yet, and I look forward to seeing what they'll have to say about it when it is in use. Carma says, "I really like the idea that when I am outside being a porch poodle I don't have to come in because ma wants to close the door." Something about the phrase porch poodle went right to my heart. 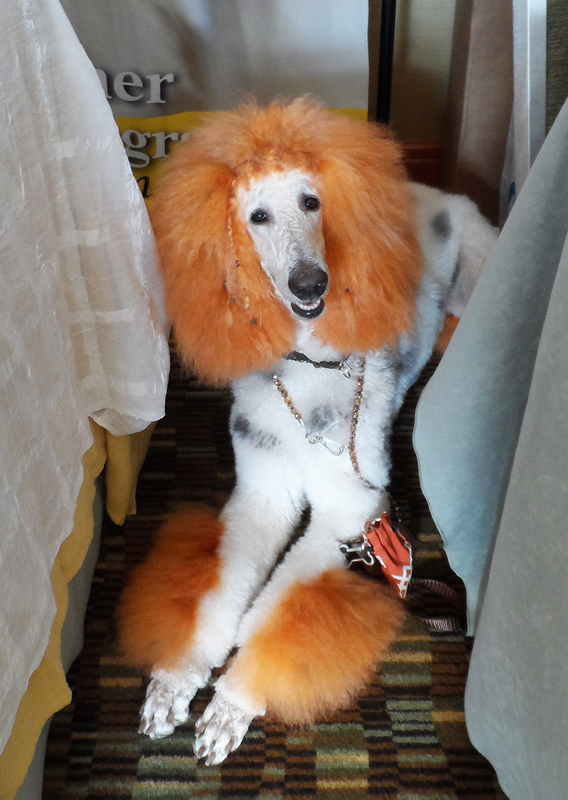 A porch poodle must be the cutest kind of poodle! If you have something to share about the PlexiDor I'd love to hear! Today I have the pleasure of handing over the keyboard to Emma from MyGBGVLife.com! 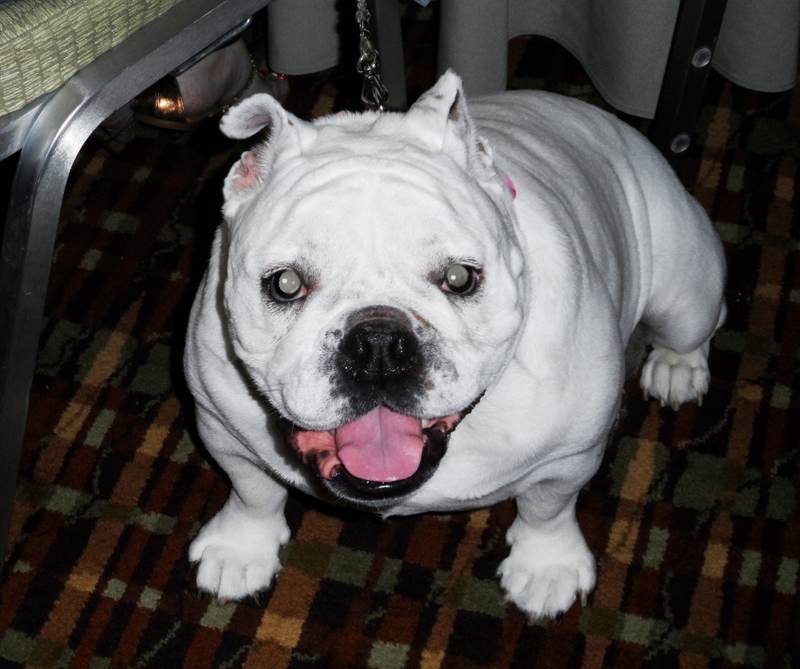 Welcome Emma, and thank you for helping me out with talking about your breed! 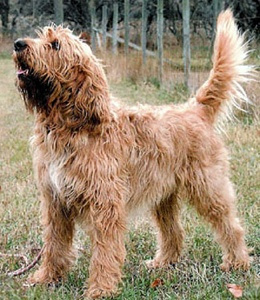 The Grand Basset Griffon Vendéen is a medium sized French scent hound. 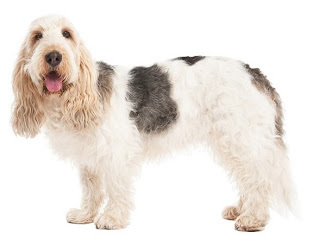 The Grand is for our size (there are four types of Griffon breeds), the Basset is for our short legs (it has nothing to do with a Basset Hound), Griffon is for our type of wiry fur, and Vendéen the area of France my breed originated from. Our fur can be tan/white, black/white, or tricolor like me. GBGV's are pack dogs used to hunt hare, wild boar and deer, I think my personal favorite is hunting wabbits and I am darn good at it too! 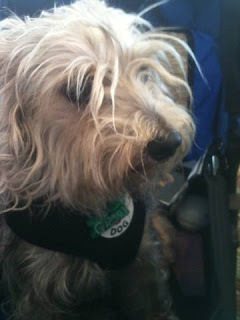 The GBGV has also been nicknamed the happy breed since we are really happy dogs no matter what. We are confident, strong minded, and are not afraid to do the time if the crime was worth it! 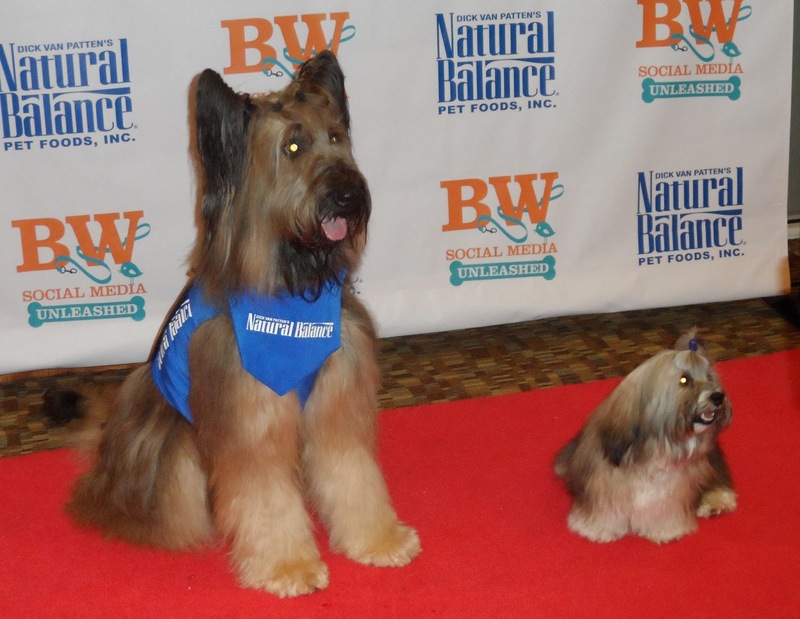 We are smart and "can excel" at obedience but usually more when we feel like it. Since we are pack dogs we don't like to be alone. We are happier in homes with multiple pets and/or people. We tend to be big snugglers, very loyal to our humans, and we love to listen to ourselves howl. We are a rare breed in the USA. Until recently, most of us were imported from Europe. I was born in England. We are not fully recognized by the AKC, and are currently in the FSS category working on getting full recognition as our numbers build. I would guess there are around 100 or so GBGV’s total in the USA right now. Yes, you can put a pet door in a sliding glass door or a window! I mentioned our blog tour last week - BlogPaws connected us with interested bloggers, who got a door to review. The tour continues through August, and here are some of the past few days' highlights! The website doggiesandstuff.com made an awesome video about their new door and their adventures in doggie-training. Keep the Tail Wagging made a wonderful article about the door. If you're at all interested in the PlexiDor I recommend reading Kimberly's post. She had the same concerns as most people, and did some fun, hands-on testing. 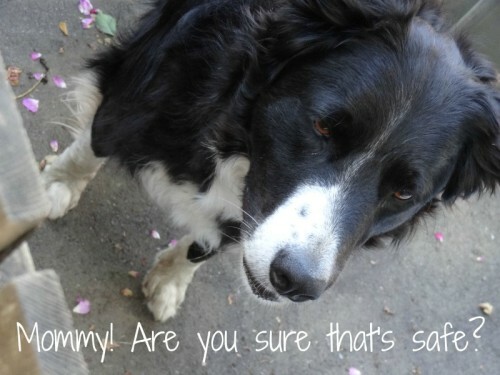 They've had a burglar come in through their old doggie door, and if that has happened once, security is a main issue. She writes, "Our former door has a plastic cover - push hard on it OR push gently and shift it up and it pops off. You can reach through and unlock the door. I do this all the time when I get locked out. Well, not anymore. 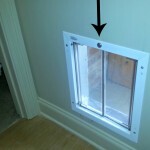 We tested this thing like crazy and the house is locked up tight." Rodrigo was concerned about the PlexiDor. Another question many people pose is, "Is the PlexiDor safe for dogs?" The panels are rigid and swing both ways, and I've met a few people who worry their dog might get stuck. I can give my point of view - the panels swing so easily they don't get stuck or trap the dog - but who believes the manufacturer, right! Getting an unbiased opinion from someone else is much better, and Kimberly's test was a happy surprise for me. Kimberly writes, "The doors swing in and out, so we were worried that if Rodrigo peaked his head in and them immediately pulled out, he'd get stuck - didn't happen. We tested it on ourselves, on a pillow, and I watched Rodrigo do it many times." Rodrigo is, by the way, a real cutie-pie! I've only seen him on this photo, but I totally want to pet him! Last but not least, let me share this image from twolittlecavaliers.com. The doggie in the photos is named Frankie, and he looks so happy it makes me happy! 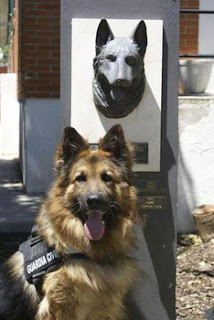 In June this year Ajax the bomb-sniffing dog was awarded the Gold Medal of the PDSA at the 4th International Conference of Police and Military dog handlers. This is the highest award possible for bravery in Ajax's line of work. The bomb he found would have caused a lot of damage and killed anyone in the area. Once he found the bomb, a controlled explosion could be made, and it sent shrapnel over 100 yards away. PlexiDor had a booth at SuperZoo in Las Vegas, and got the opportunity to show off high end dog doors to a large number of pet retailers. 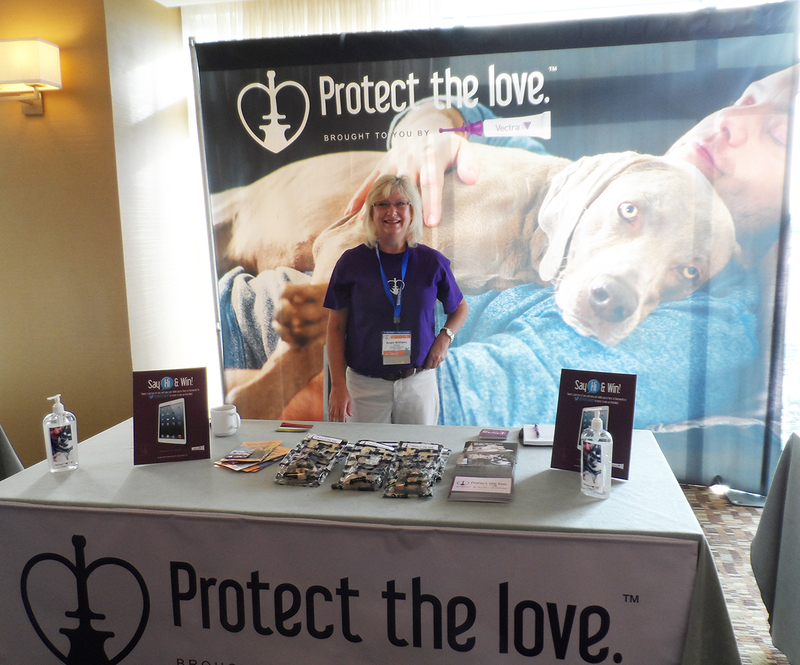 It was a record breaking show with 982 exhibitors over 191,524 square feet of floor space. 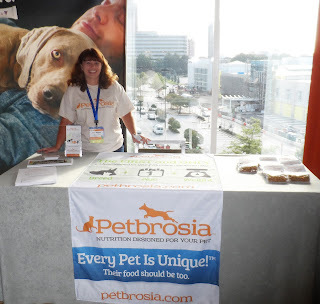 The 2013 show featured more new product debuts than any time before, and visitors could see everything from backyard chicken coops to convertible sofa beds made for pets. The Slovenský Ćuvać - also called Slovakian Chuvach or Slovakian Sheepdog - is a shepherd and mountain dog stemming from the Caucasus mountains. The breed was originally derived from Arctic wolves and they are strong, lively, fearless, and alert. They thrive in an environment with a large family, children, and other animals to care for. They do great on farms and ranches. 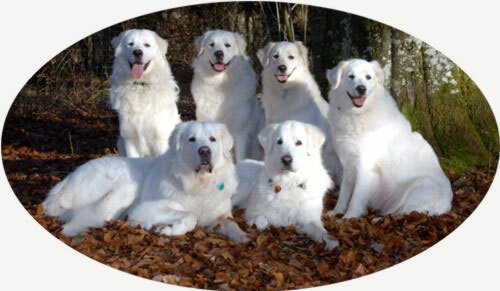 These dog are known as good guard dogs, watch dogs, and shepherds as well as great companions. They bond tightly with their families and will fight off any intruder - even if it is a bear or a wolf. They're always white, because in older time this was the only way to distinguish them from threats in the night. You know when someone yawns close to you and you just have to do it too? Humans mirror others' behavior, often without being aware of it. If we talk to someone and agree with what they're saying, we tend to mirror their stance. That is, if one person crosses their legs, someone else is bound to follow. If one person rests their chin in their palm or crosses their arms, the other person might mirror it. The same thing goes for yawns. One person yawns and the urge to do the same thing is impossible to overcome. Turns out dogs do it too. 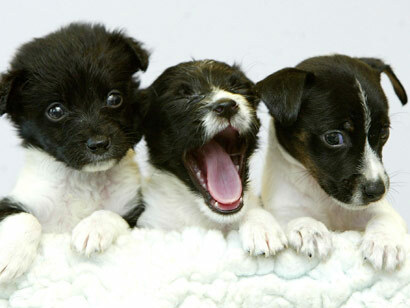 A new study shows dogs are likely to "catch" their owner's yawns. They're more likely to do it if it's a real yawn - they don't care as much about fake yawns, or about strangers doing it. So, what's the big deal? Well, people who score high on empathy tests are more likely to mirror other's behavior - and mirror yawns - than people who aren't as empathetic. Scientists now think dogs' mirroring our behavior might point to an ability to empathize with us. While any dog lover might agree on their pooch's ability to share our emotion, society in general might soon have evidence. The PlexiDor has been seen on some blogs this week, and more will follow. 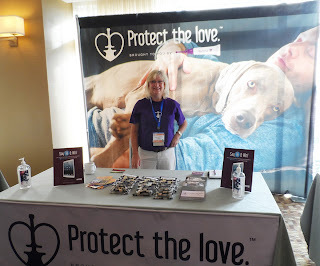 This is made possible through BlogPaws, who connected us with interested bloggers. Libby's Library made a fantastic review and video that I would have loved to share here, but I can't figure out how, so visit the page and enjoy "Who let the dogs out!" Acme Canine wrote about it twice, from the perspective of the dog. It is an entertaining product test! They also made a Pinterest board with images. 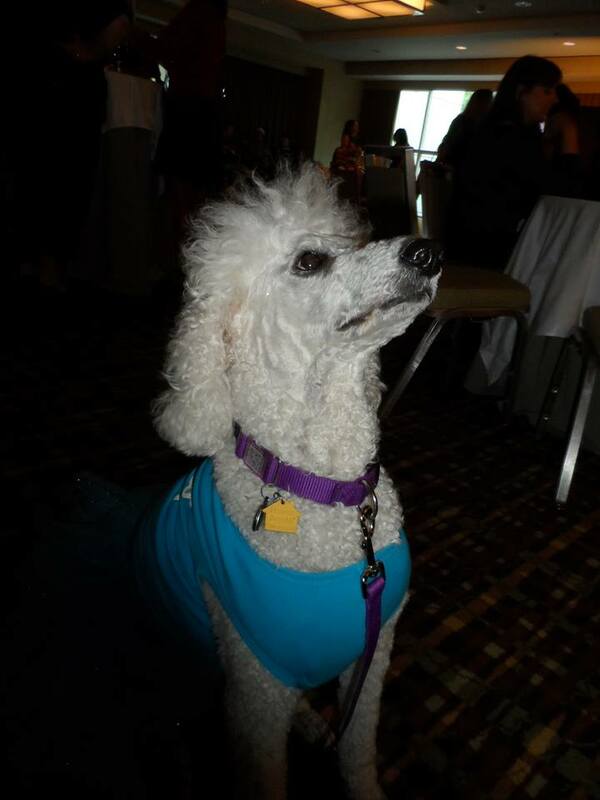 Felissa Elfenbein wrote a guest blog for "Two Little Cavaliers" about the PlexiDor. She also made a fun Pinterest board, and this cool video! Summer is here! Long days on the beach, sunshine, and ice cream are parts of the vacation fun. 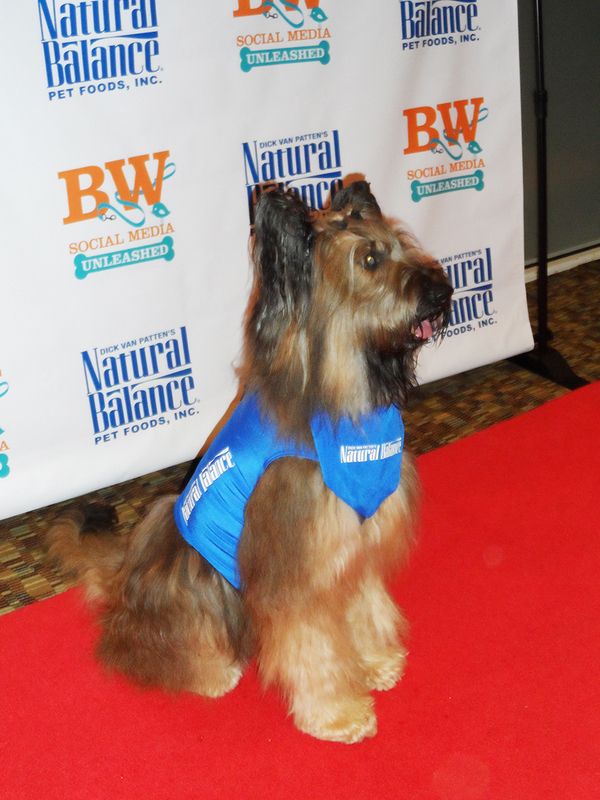 What's wonderful for us isn't necessarily as nice for our four-legged friends, though. 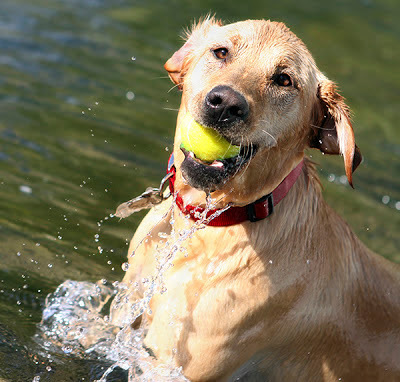 Here are some tips on how to keep pets out of the heat. Keep an eye on the water bowl. You might need to refill it more often than usual. Offer cool treats - like a chew toy with frozen peanut butter. Some dogs like to sit in front of a fan. Stay inside during the heat of the day. If you can't touch the asphalt with your hand or bare foot, it's too hot for the dog. Some breeds might also need doggie sunscreen. Watch out for heatstroke. Symptoms include panting, lethargy, drooling, fever, vomiting, and collapse. 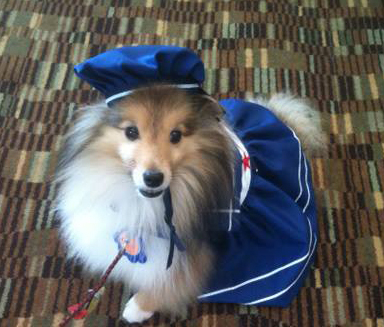 If you think your dog might have heatstroke, go to the vet! Breeds with shorter noses, puppies, and senior dogs are more susceptible than others. The below infograph comes from petfinder.com. They have many more tips on how to make summer enjoyable for both people and pets. 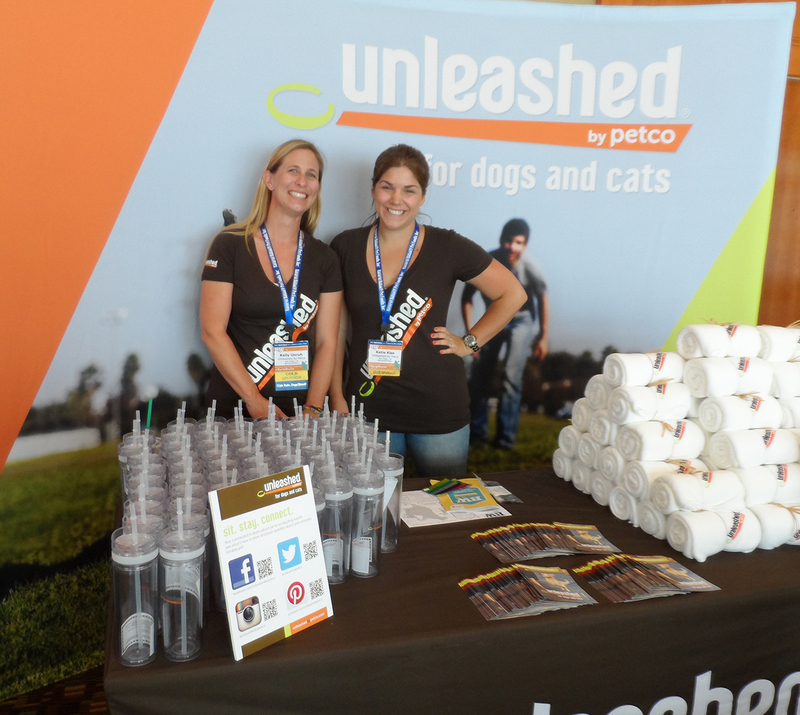 BarkWorld Expo is the national pet social media conference, established in 2009. 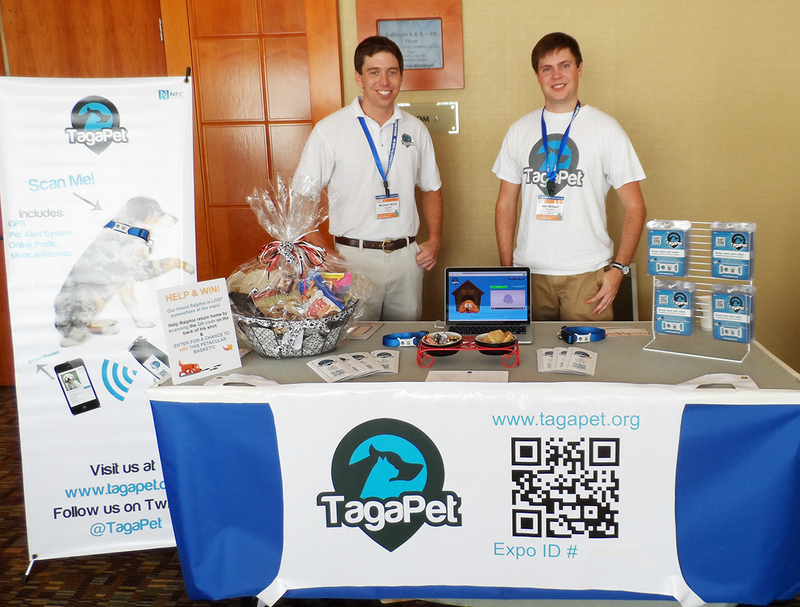 The conference covers social media, lifestyle, and technology as it applies to pet owners and businesses. 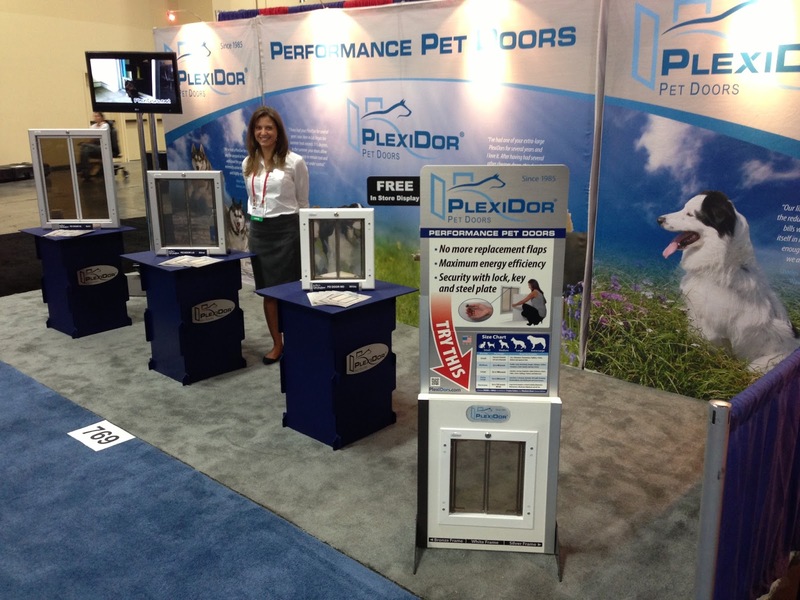 This year, PlexiDor Pet Doors will be there! The event takes place in Atlanta, GA, August 22-24. We will be at booth 3, and I hope to see you there! If you see a woman with dark hair bounce out from behind a booth to crawl around on the floor and greet doggies, odds are it's me. 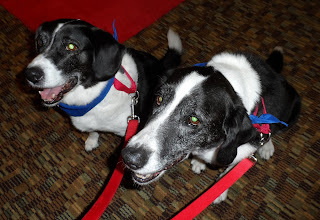 I've never doubted that my dogs are happy to see me; each time I return to the house they rush towards the door and bounce on me with wagging tails. I might be mistaken of course, but I interpret that as "Hi mom! We've missed you, we're so glad you're home!" Dogs are individuals, and some might not express themselves as clearly as my pack of extroverted Border Collies. A group of animal behavior specialists at Azabu University in Sagamihara, Japan, have studied facial expressions of dogs, hoping to chart the way dogs show emotion. The idea is to track subtle signals. A dog parent might know their pooches inside out and be able to read them, but if there is a generic body language of dogs, everyone might benefit from understanding it. According to the Atlantic Wire, the dogs in the study tended to move their right ear when presented with an object or person they didn't like. When seeing a person they liked, the dogs lifted their left eyebrow. Interestingly, toys or food did not elicit this response. Only people. I'm sure my dogs sometimes move their right ear and lift the left eyebrow at the same time. Not to mention moving the right ear while storming to the door to say welcome home. In order to really read dogs, we need to take the entire body language into account. However, even if the study isn't conclusive or finished, the fact that someone is attempting to study dogs' way of communication warms my heart.